Flash Gordon Savior Of The Comic Universe! ROTTEN….INNNKKK….Savior of the Blog-verse! Yeah, I know that was super lame and not very clever, but this winter seemed like a good time to do a terrible parody of a classic Queen song as it fits today’s update as we take a look at the 1980 film Flash Gordon and the Whitman Comic adaptation. It’s pretty great adventure stuff to get the blood pumping this cold winter night! Can you believe we are this close to Christmas and our huge Christmas Eve update? This time of the year is always wonderful, looking back at things from your youth and fun times with family and friends, and that’s why I choose Flash Gordon as the film and character this time around. It’s something that always brings back good memories of when I was a kid. When we were young, my parents had a Beta player and this is how I first saw Flash Gordon as my Dad rented it from the video store for me and my brother. From start to finish I can remember we both were glued to it. Later, when it would showed on cable like HBO or Showtime, we taped it and would dust it off from time to time. I can also remember using our G.I. 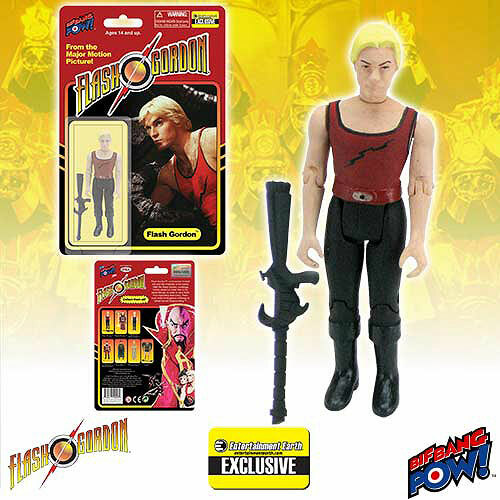 Joes and Star Wars figures to play Flash Gordon as figures based on this movie were never made in my youth. I miss those days of going to the video rental store with my parents and picking out a couple of films for us all to watch on a family movie night. I have one funny story about a Troma movie that was rented for the kids that I will share in an update in the future. So get your space suit on and bundle up as space is even colder than this winter night, and we’ll go on an adventure with the one and only Flash Gordon. Oh yeah, make sure to also bring a blanket, some hot chocolate mix or even some hot tea as the chill in the air will make them a must. In 1980 an epic science fiction film was released by Universal and was slated to be the next mega hit in the genre like Star Wars before it. Best of all, the film was based on a character who already had a built in audience as he had comic strips, comic books, radio dramas, novels, movie serials and toys based around him so by this point Flash Gordon was a household name. So why didn’t it overthrow Star Wars: Empire Strikes Back as the # 1 film of 1980? 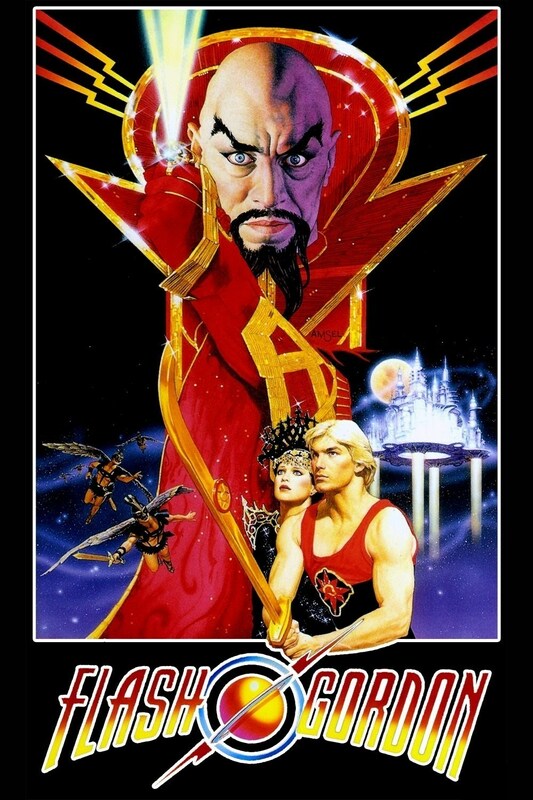 Flash Gordon ended up at # 23 bringing in $27,107,960.00 on a budget of $20 million, beating out such cult films as The Elephant Man, Raging Bull, The Fog, Mad Max, Prom Night, Motel Hell and The Gong Show Movie. 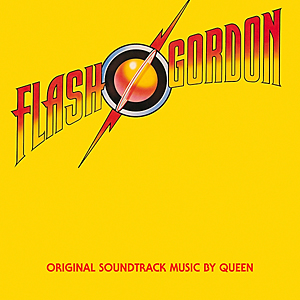 I think some of the issue started with the production of the film as the rights owner for Gordon in films was famed producer Dino De Laurentiis who, in the 70s, turned down George Lucas who wanted to make a Flash Gordon film. This sparked Lucas to make Star Wars. Meanwhile De Laurentiis wanted to make his version of Flash Gordon cheesy and humorous, and this angered Sergio Leone, who was slated to direct, as he wanted it to be more faithful to the comic strip. But after many setbacks, a director was found in Mike Hodges, and casting started with Sam J. Jones playing Flash Gordon, Melody Anderson as Dale Arden, Chaim Topol as Dr. Zarkov and Max von Sydow as Ming The Merciless, all of whom were wise choices for their roles. But once more, late in production drama reared its ugly head again and fights between De Laurentiis and Jones left the actor leaving prior to post production forcing lots of his dialogue to be dubbed by a voice actor. This drama also lead to a sequel never being made. But in 2015 rumors began going around that a reboot sequel might be in the works and that Sam J. Jones might be returning in the role of Flash! 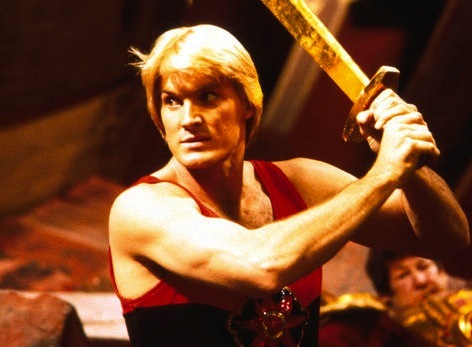 So what do you readers think, should they make a Flash Gordon 2 with Sam J. Jones returning in the title role or do you think a remake is the wiser choice? 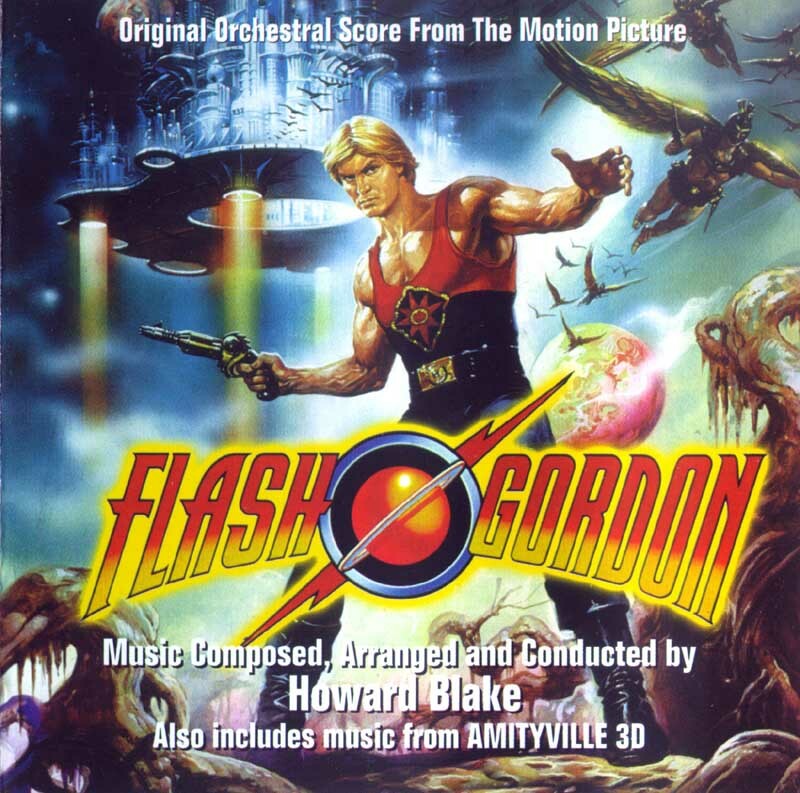 The soundtrack to Flash Gordon is fantastic with the score being done by Howard Blake and the rest being done by the amazing band Queen! While the score is mostly forgotten, the song “Flash Gordon” by Queen is the first thing that pops into the people’s minds when hearing the characters name…you know at least a handful of times you yourself have done it while reading this update. That’s one thing the film always had going for it, the soundtrack was a popular album for people of the 80’s to have in their collection of vinyl and cassettes. 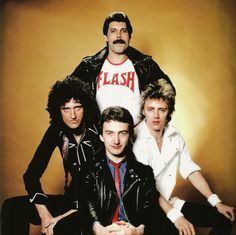 Queen always did make amazing rock n roll music, and their work for Flash Gordon showed that they could also make the music of the movies and will always rank up as one of the most catchy theme songs for any science fiction characters. And for those wondering, I do play the score music from Blake on WYSO from time to time. As I have stated, growing up me and my brother were fans of the film, and I would have loved if some company like Kenner or Remco would have made 3 ¾” figures based on this film as it would have been epic while playing Star Wars if Flash Gordon showed up and Princess Leia fell in love with this hero jock and he and Han Solo had to fight it out to win her heart. But in 2015, thanks to collectible website “Entertainment Earth” and toy company “BifBang Pow!” a series of figures was made. They released four figures this size that include Flash Gordon, Ming, Aura, Vultan and Barin, and each come with weapons and bendable knees and elbows. When I was just a youngster, the only things that I can remember that were released was a video game, the comic adaptation, the novel based on the film and the soundtrack. 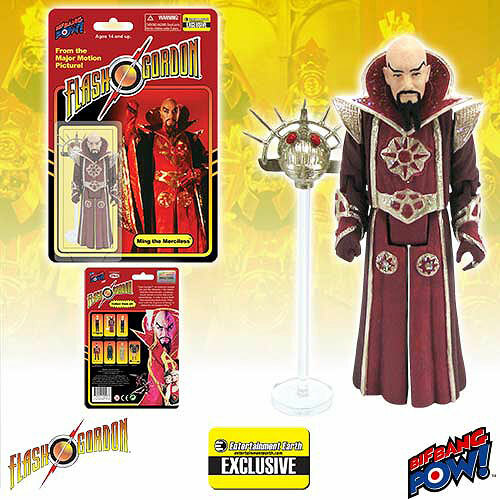 So for those youngsters reading this, and those young at heart, if you buy these Flash Gordon 3 ¾” action figures make sure to have them mix with your Star Wars toys as well as your Funco ReAction figures and have one hell of an epic Toy War! 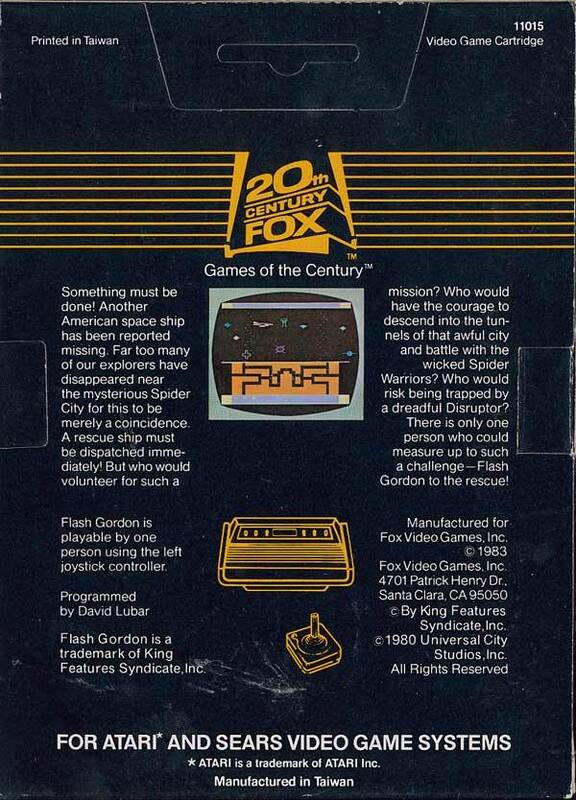 While we might not have gotten action figures, 20th Century Fox Games did release a video game based on the film for the Atari 2600 for all the fans to enjoy in 1983, but like most movie tie-in games, this one really had nothing to do with the movie and was in fact originally not even a Flash Gordon game as it was really just a redone port of a game called “Spider City” that was a popular PC Game in the early 80’s. But in this version you play as Flash Gordon who has entered Spider City to rescue missing spacemen and to destroy all the hatching spider pods. You of course are flying a ship, and by beating levels, the game will give you an extra life. The graphics are what you would expect from an Atari 2600 game. 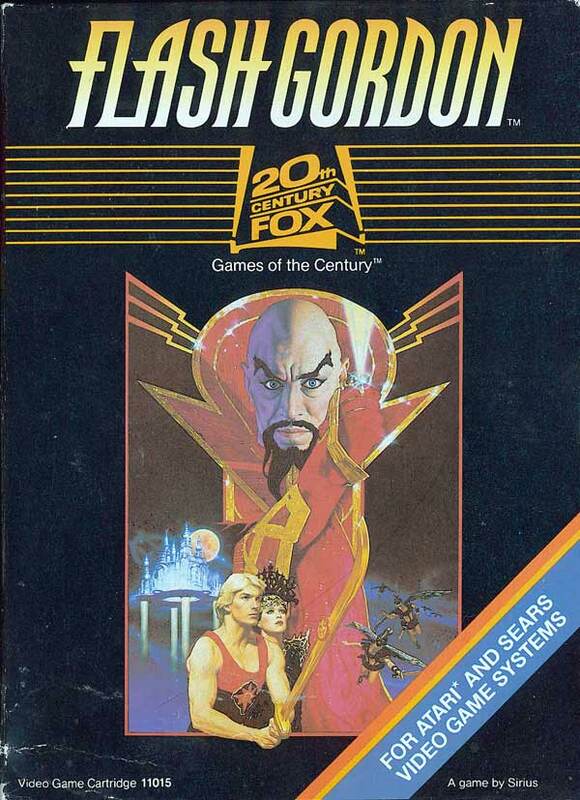 The first time I learned about this game was in 2009 when Game Swap Kettering was stocking the store, and one of the Atari games in the box was Flash Gordon and of course I had to buy it and play it. While very cheesy, it still was fun play and something that fans of classic gaming should try. 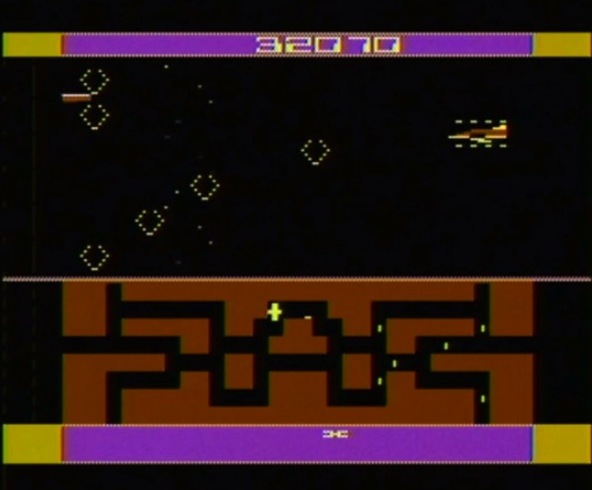 Check out below for a screen shot of the game as well as the cover box front and back, and all you old school gamers who grew up playing this understand just how fun this and so many other Atari games can be. 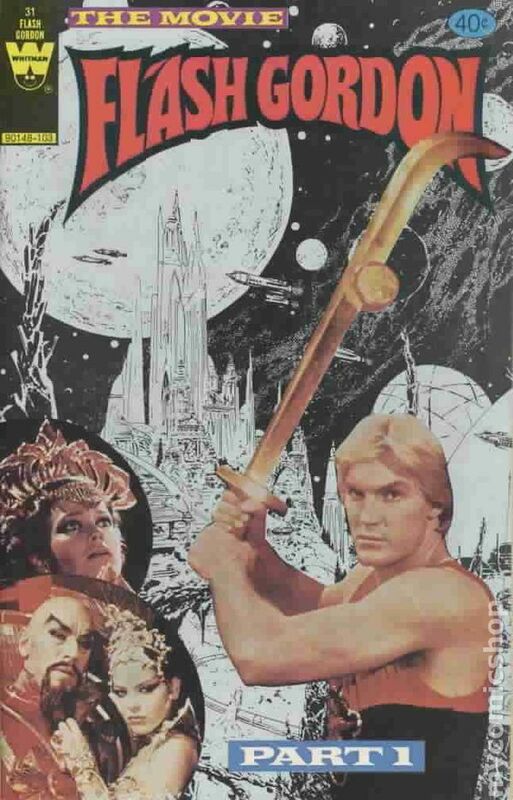 So we have taken a look at Flash Gordon the Movie, the soundtrack, the video game and the toys, and now I think it’s time that we all climb aboard the Whitman Comic Rocket and travel to Movie Adaptation Land and see just how well this one holds up to the film. I want to thank Jason Young and his Mom for selling me these issues in a long box buy and must remind all you readers and astronauts that I grade these on a star scale of 1 to 4 and am looking for how well the comic stays to the source material, its entertainment value and its art and story. So with that, let’s prepare for lift off! 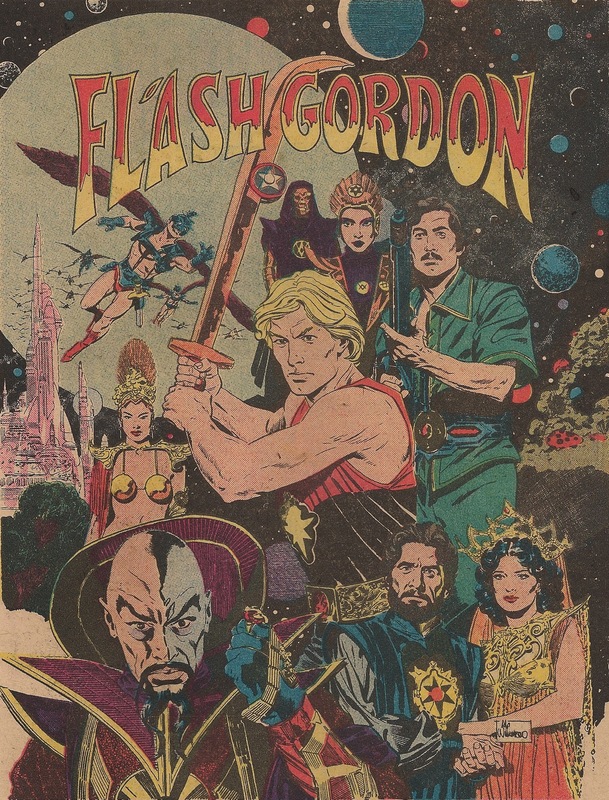 I should also note that the adaptation was placed many issues into the long running Flash Gordon comic series put out by Gold Key and Whitman so that’s why the numbering is high on these issues. So it’s take off time, get ready to have a fun adventure with Flash Gordon and friends. Flash Gordon is a football player for the New York Jets and is on a plane with Dale Arden when their plane goes down and lands near a greenhouse where by gunpoint they are forced onto a spaceship and into orbit by Dr. Zarkov who believes that they all must stop an alien attack that he thinks is forcing Earth’s moon to crash into the planet killing everyone. He wants to find and stop the mastermind behind it. In space, the three pass out and are swept into a black hole and end up landing in the Mongo Kingdom run by Ming The Merciless along with his daughter Princess Aura and his golden metal masked adviser General Klytus. This is bad news as Ming wants Dale as his slave, Aura wants Flash as her slave, and Klytus wants all three Earthlings dead! Flash does not stand for this and fights with the guards, but all this does is give him a one-way ticket to a public execution that very night! Flash is given a shot and then gassed and is believed to be dead, but in reality Princess Aura changed the shot that let her new man live and uses her boyfriend’s (Prince Barin of the Treemen) planet as a hiding place for Flash. Meanwhile Ming has taken Dale as his own and has ordered Zarkov’s mind to be taken over and turned into a slave! But thanks to Aura’s crown, Flash is able to contact Dale and tell her he is alive. This causes her to escape Ming’s bedroom and start her escape and saving of Zarkov. This comic adaptation does a good job of compacting the film into comic pages and moves the pace along really well! So far the story is the set up and has Flash, Dale and Zarkov traveling to space and crash landing on Mongo, the planet of galaxy warlord Ming, and finding out they are just pawns in his twisted game to destroy Earth. The comic has action, adventure, drama and romance as all these things were tangled together in ink and paper. Flash Gordon starts out as a hero jock who wins the attention of a young woman he is next to on a plane, but quickly turns into a hero as he is a prideful man who would clearly die to protect his new friends. 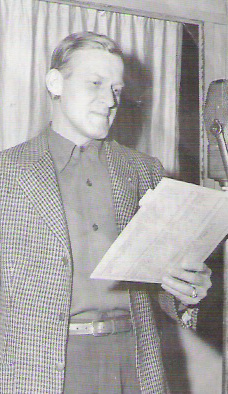 Flash also has a charm as both Dale and Aura fall in love with him just by seeing him. I wonder if it’s because he is a pro football player who has money or if it’s his chiseled good looks? We also learn he is good at fist fighting as he handles many guards at once and seems to know how to defend himself. Dale Arden seems like a normal young woman who, when survival is on the line, will fight back and not just roll over and die. It’s also clear that Dale fell in love with Flash Gordon at first sight and that she will not be Ming’s love slave without putting up a fight. Dr. Zarkov is a crazed old man who’s outlandish behavior got him banned from NASA and his way of getting help on his rocket ship is to pull a gun on people who just survived a plane crash. It’s odd as both Flash and Dale seem to forgive him pretty fast and even look to him as a friend. Even more crazy is they would not be in the danger they are in if not for his crazy gun pulling ways. To be fair though, Dr. Zarkov did do all this to save Earth from doom that would be coming from the sky. 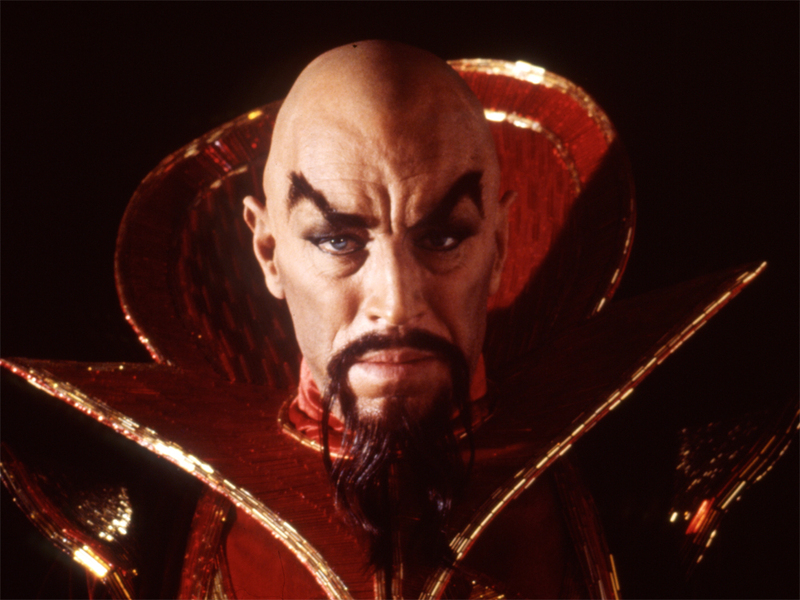 Ming The Merciless is cold blooded, and life and death do not matter, as in his mind all that does is his rule over all. I think Ming is a great villain as he tries to murder outsiders on sight, forces women to be his love slaves and rules his Kingdom with such an iron fist that other planets are scared to feel his wrath. Princess Aura is a mystery at this point as she is a man-eater who clearly uses men to get what she wants but also seems to not enjoy her father’s wicked ways. General Klytus is clearly a man who loves to place judgment and punishment on anyone he feels is a threat to Ming and his rule. We don’t get much background on Prince Barin besides he loves Aura, and he is the leader of the Treemen. The winged leader Vultan of the Hawkmen is also around but is not given anything to make a judgment of his character. 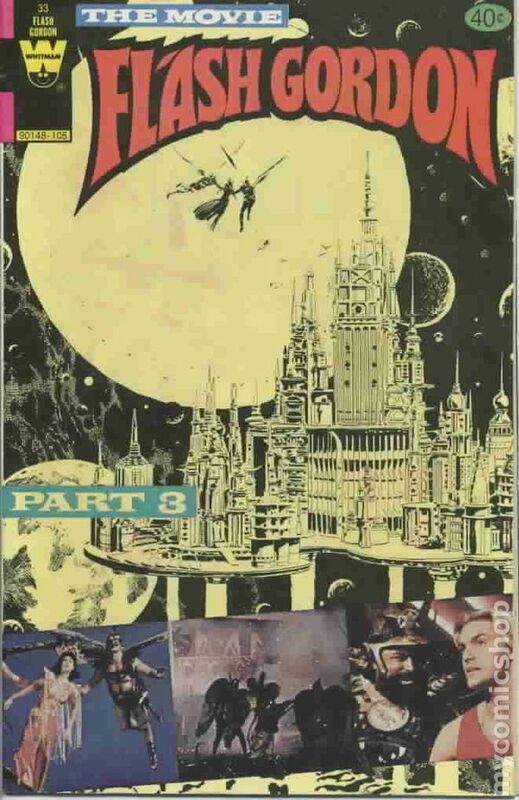 The cover is your typical cheesy photo collage mixed with art design that Whitman and Goldkey Comic used on most their adaptations, but the inside art is fantastic and done by Flash Gordon comic series artist Al Williamson who is an underrated artist who captures science fiction elements really well. This is a great start as on this cold day; I really enjoyed this first issue in the adaptation and I am really looking forward to seeing what issue 2 has contained. While escaping, Dale Arden runs into Dr. Zarkov who claims that his mind could not be beaten into being blanked, and the pair board a ship and try to leave only to be captured by the Hawkpeople lead by Vultan. They are about to deliver them back to Ming when Dale begs him to join forces with Flash Gordon, who still lives, and the Treemen to overthrow Ming who is they all hate. Meanwhile Klytus has heard that Gordon is alive and warns Ming who has his daughter who has returned home arrested and tortured in order to find were she has left Flash. Flash himself is being tormented and set up to be murdered by Prince Barin, who is jealous that Aura has fallen for the Earthman. During the fight, the Hawkmen attack and take both Flash Gordon and Prince Barin prisoner as Vultan is not going for an alliance against Ming and is delivering them all to the evil ruler. Prince Barin as a royal can challenge a duel before sentenced and picks Flash Gordon, and the two fight on a circle that has spikes. Flash wins and saves Barin from falling off the circle as Klytus arrives on the ship and demands all the prisoners come with him and this sets Flash off and he slams Klytus onto the circle of spikes killing him! Vultan and the Hawkmen fly away as they fear the wrath of Ming who now has shown up and has Dale, Barin and Zarkov taken to his castle, and after Flash refuses an offer from Ming to join his side our hero is left on the ship that is now blowing up. Flash Gordon steps up his game and not only passes the Treemen’s log test that has a poisons beast inside it, but he also beats Barin in a duel to the death as well as murders Klytus by slamming him down on spikes! Flash didn’t even blink as he slammed a living person onto spikes, killing him in a terrible painful way. But to be fair, the man who he killed was Klytus, the evil right hand man of Ming who looks like he took fashion tips from Dr. Doom and had sent a number of people to their deaths. This second issue covers Flash fighting the odds and yet still some how turning the negatives into positives and starting an uprising against the rule of Ming. It’s great as Ming even mentions that his subjects are starting to talk about this man named Flash Gordon who has beaten all the odds. Ming The Merciless in this issue tries his best to corrupt Flash, and when he can’t, he wants him dead, not to mention he also is ok with the torture of his daughter as he is pissed she disobeyed his wish of having Flash killed. Ming is also claiming Dale as his future wife and adds forced love to his evil deeds. Prince Barin is a jerk who comes around once he finds that Flash is a good man. Vultan comes off as a coward and a lackey for Ming as Dale and Zarkov take a backseat and are just prisoners who are the driving force for Flash Gordon to fight and do the right thing to save them and the Earth. The cover is another photo collage/art mix and is cheesy good as the art inside is Al Williamson again who is doing a great job at capturing the looks of the actors as well as his backgrounds are really well done. This second issue is as good as the first. Coming up is the final in this adaptation, and I for one am enjoying every page. Flash Gordon escapes the blown up ship on a tiny glider and is able to contact Vultan and the Hawkpeople who now are on the side of good and set up one of Ming’s warships that they take over. Meanwhile Ming has set his wedding to Dale for that night and is forcing his daughter Aura to be the Maid of Honor and is going to kill Zarkov and Barin live for entertainment! Aura sneaks away and frees Barin and Zarkov from the prison, and the two flee into some tunnels. Flash, Vultan and the Hawkmen bring the fight to Ming’s kingdom. As Dale is being forced to marry Ming, the Earth is also on a path to doom as in only six minutes the moon will crash into the planet causing earthquakes and tidal waves. Flash crashes the ship into Ming’s castle and impales the evil ruler with the tip on the ship. Ming however does not die and Flash rushes him with a sword in hand as Ming turns his own power ring on himself ending is reign of terror. In the end Aura and Barin take over ruling Mongo, Vultan takes the job of royal guard commander and Dale, Zarkov and Flash stay on Mongo as they do not have a ride home. The doomsday clock was almost at 12 for Earth, but thanks to the heroic act of Flash Gordon and his allies, we are all safe for the time being. The plot of this issue is this simple: Ming is having a shotgun wedding, Flash has brought people together to fight the power and in the end, good clashes with evil and as always, good wins. Flash Gordon once more proves how loyal and brave he is, as he takes his own life in his hands and crashes a ship into a castle that had a force field around it and was only saved by Barin who blasted the controls with a pistol. But what Flash did to save the Earth as well as Dale shows you that he is a real hero who puts the needs of others before his own. Dale and Dr. Zarkov do what they can to help with Zarkov trying to help turn off the force field and Dale bides them time to attack. Glad to see Vultan and the Hawkmen turn from cowards to right doers as they join the forces to bring Ming’s evil rule to an end. Prince Barin wins the most as he gets not only Ming’s hot daughter Aura, but he also gets to rule the planet! Ming does not put up much of a fight as after he has the ships front needle impale him, he then would rather zap himself with his own ring than to fight Flash Gordon. I always wished Ming would have been a more badass villain like Darth Vader in Star Wars in this film and comic as an epic fight between Flash and him could have been a major movie moment of the 80’s. I think what really make this comic adaptation work is that it feels like a grand space adventure that you’re on with an iconic character that is allowing you to tag along on. The comic does a pretty good job of working the movie into comic pages but like most adaptations, some of it feels very rushed with elements missing. One par that is removed is the silly comedy moments of the film and in its place are more serious action moments. The cover is like the others, and Al Williamson’s art is classic and captures the feel of not only the movie but Flash Gordon altogether. If you’re a fan of this movie or even just enjoy a good Flash Gordon story, I would say check out these issues as well as the rest in this comic series as they are a fun read and can hold you over till Gordon’s next big screen film hits your local cinema. Below is a piece of art from Williamson that I think showcases everything that this comic has to offer, so take a look at it and enjoy. 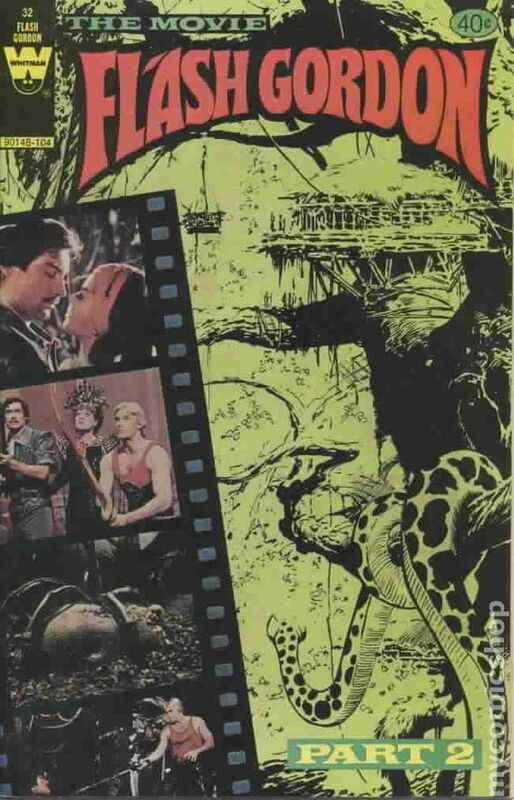 So yeah, Flash Gordon,, the film from 1980 as well as the comic adaptation of it are great ways to be entertained, and those of you who didn’t like the humor of the movie should check out this comic adaptation as it’s all the action elements. I really do miss the old movie adaptations from companies like Marvel, DC, Whitman and Dell as they always seemed like having something a little extra on the movie or even TV Shows they were based on. But it’s now time to reveal what our Christmas Eve update will be about. We will be leaving the Mongo Kingdom and instead enter Kingston Falls as we take a look at “Gremlins” and the Golden Book comic adaptation based around this iconic movie that was one of my all time favorites in youth! So until then, be safe this winter, spend some time with your loved ones, read a comic or three and make sure to return on Christmas Eve to spend some time with Gizmo and all his friends. See you all then! Welcome back to Rotten Ink, a zany place to relive my childhood and remember back the things that made me as well as many others happy and shaped us into the people we are today. 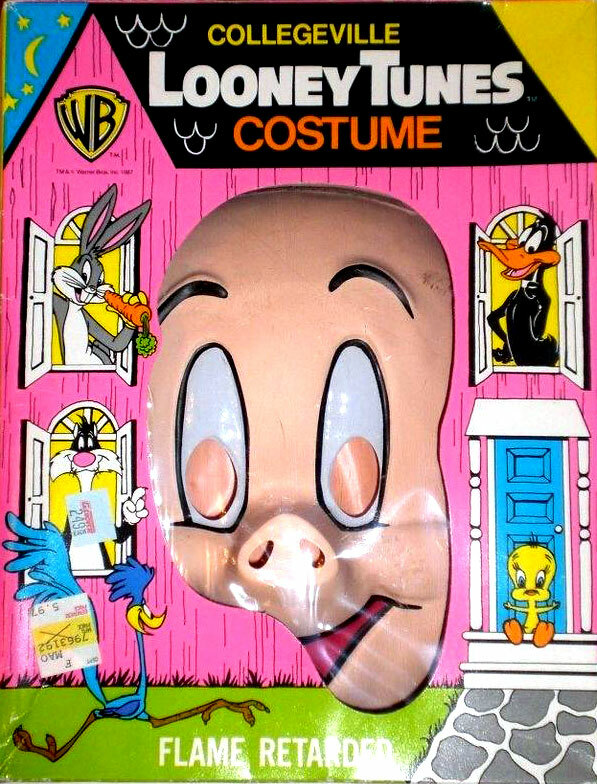 Growing up, Looney Tunes was a major part of my childhood as reruns were still being aired on Saturday mornings as well as Sunday mornings, and many times I would rent VHS’s based on the characters from the public library or just buy $1.00 VHS tapes from Dollar Stores. I can remember drawing poor versions of characters like Daffy Duck, Road Runner and of course Bugs Bunny in art class and playing video games like Bugs Bunny’s Birthday Blow Out for the NES. Also, when we were younger candy maker Esther Price used to have a big Bugs Bunny doll in their window display in a classic car or doing other silly things. Sadly they’ve retired him, and modern kids won’t get the joys of watching what Bugs would be up to next in that candy store window. I can also remember reading the Little Golden Books about Bugs as well as reading old comic books on him we would find at garage sales. My mom had a Bugs Bunny cookie cutter and used to make sugar cookies that looked like the famed cartoon character. I can also remember drinking Kool-Aid and chocolate milk from an old Pepsi Bugs Bunny glass. So as you can see, Bugs Bunny was a huge part of my childhood, and this update is all about that crazy grey furred rabbit! So grab a carrot, tune up your sense of humor and let’s have some fun with Mr. Bugs Bunny! So for those of you who are too young, or maybe just lived under a rock, I am going to tell you a little about Bugs Bunny and who he is. For those of you who already know, sit back and have a good reminiscence with me. 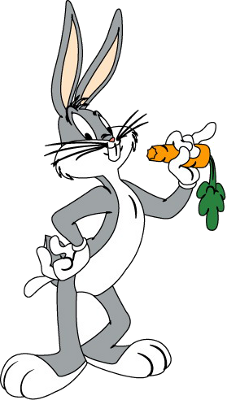 Bugs Bunny is a grey furred rabbit who walks on two legs, talks with a New York accent and enjoys pulling pranks as well as snacking on a good old fashioned carrot all the while wearing white gloves. 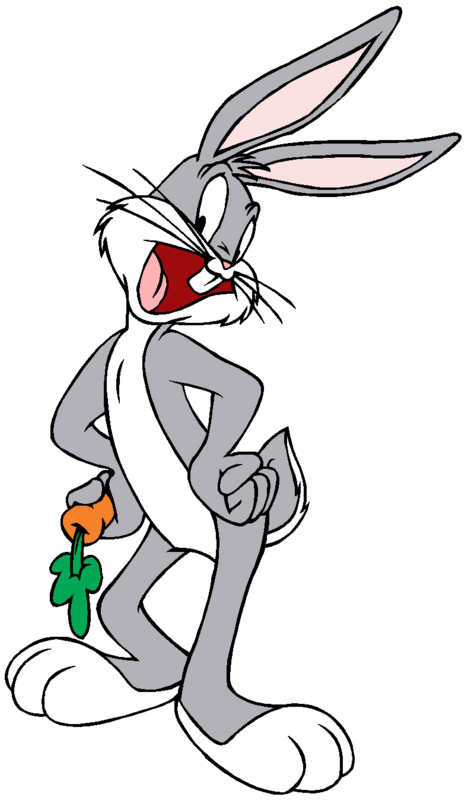 His major catch phrase is “Eh….What’s Up Doc” that is usually said to annoy the person he’s talking to. Bugs is quick witted and always comes out ahead in bad situations. Bugs has many enemies that include hunter Elmer Fudd, cowboy Yosemite Sam, space martian Marvin as well as Taz, a tasmanian devil. One bad guy I always liked was Gossamer, a monster who is covered in red hair and had long yellow and black finger nails and wore white shoes. Bugs Bunny was such a cartoon icon that Warner Brothers used him as their official mascot and places his image on all types of products from microwave kids meals to video games. Bugs was so popular, he even was used to pitch Nike Shoes, credit cards and even Kool-Aid. Bugs Bunny also had movies on the silver screen with such titles as The Bugs Bunny/Road Runner Movie, Bugs Bunny’s 3rd Movie and Box Office Bunny, but his most popular was the 1996 film Space Jam that had him playing basketball along side NBA superstar Michael Jordan against monsters. But I should not forget that he was also in Who Framed Roger Rabbit and shared the screen with Disney icon Mickey Mouse, making for an epic first and last time that the two had shared the screen. He also had many TV specials like Bugs Bunny’s Looney Christmas Tales and Bugs Bunny’s Thanksgiving Diet. One special I remember the most was called Cartoon All-Stars To The Rescue and was an anti-drug promotion that had Bugs Bunny teaming up with the likes of Alf, Papa Smurf, Silmer, Winnie The Pooh, Garfield, Teenage Mutant Ninja Turtle Michelangelo and many others to help a young boy whose brother is doing drugs. Before we move on, I want to also tell a few more fun facts about Bugs. He is in the Guinness Book of World Records for being in the most short and feature length films of any Cartoon character, and he is the second animated character to get a star on the Hollywood Walk of Fame! 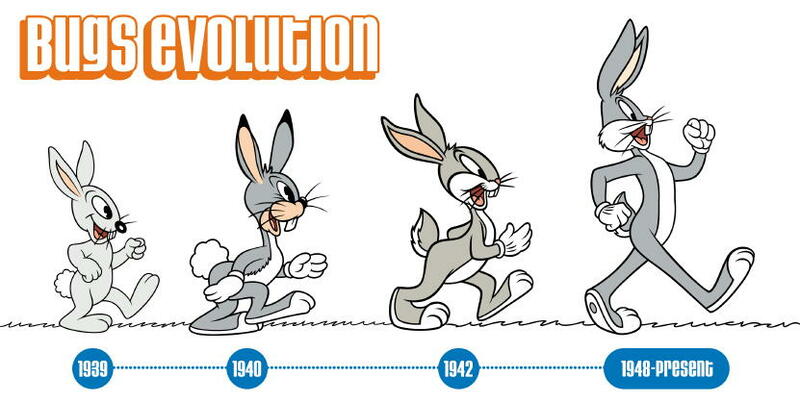 So as you can see, Bugs Bunny is truly the main hare when it comes to the world of classic cartoons! Now that we covered who Bugs Bunny is, we should also talk about those people who brought the furry little guy to life. The first appearance of the rabbit that was to become Bugs Bunny was in a cartoon called “Porky’s Hare Hunt” in 1938 that featured a wise talking rabbit that was given no name. 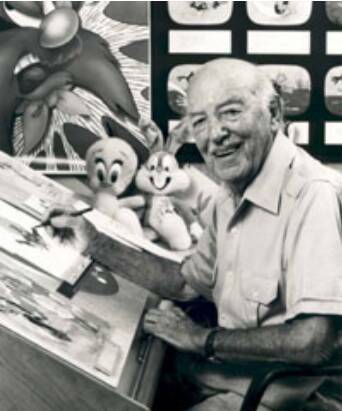 The cartoon was directed by Ben “Bugs” Hardaway and Cal Dalton. 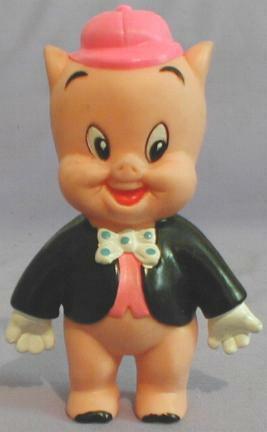 Hardaway and Cal Dalton were the creators of the character and had the bunny show up in a another cartoon sealing the popularity of the character, and Bugs was finally named by artist Charlie Thorson after several prior appearances marking the year 1939 when Bugs Bunny was used as a name for the rabbit character. 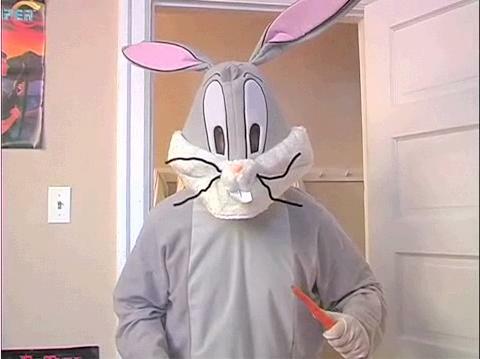 All this time Bugs Bunny looked a little different then the Bugs we all know and love as well as he was portrayed more as crazy than quick whited. 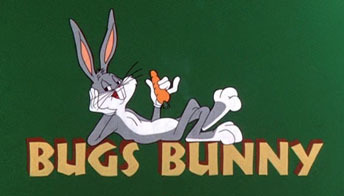 In 1940 the cartoon “A Wild Hare” directed by Tex Avery features what’s considered the first modern version of Bugs Bunny and is the true kick start to shaping the character that he is to this day. 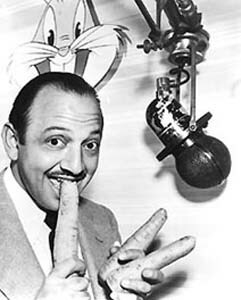 Bugs Bunny was voiced by a legendary cartoon voice actor named Mel Blanc, who also voiced such characters as Woody Woodpecker, Barney Rubble, Porky Pig, Daffy Duck, Speed Buggy among many others! 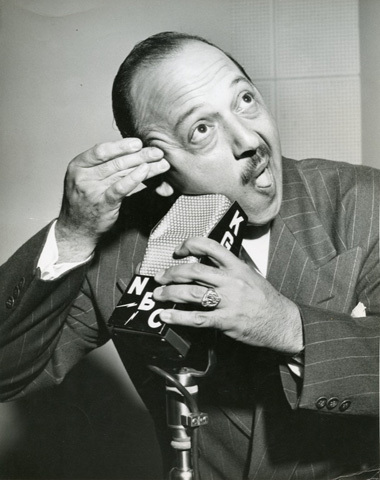 So here is a big thank you to Warner Brothers, Ben Hardaway, Cal Dalton, Tex Avery, Charlie Thorson, Mel Blanc and everyone else who helped make Bugs Bunny come to life; this blog update is for you as well as all the fans who have kept the character alive. Besides home media releases, Bugs Bunny has been turned into all types of merchandise that include Halloween costumes, books, comic books, dolls, action figures, video games, cloths, posters, school supplies, drinking glasses, frozen meals and so much more! 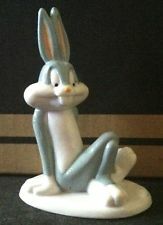 If it was a product they could put Bugs Bunny’s face on, they did it! 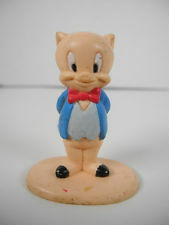 Besides the Pepsi glass that I would drink from, some other things of Bugs I loved was an eraser pencil topper that was green that was of Bugs Bunny’s head, the small Arby’s kids meal toy that had Bugs relaxing and of course I would have to say the Playsation game Bugs Bunny Lost In Time. 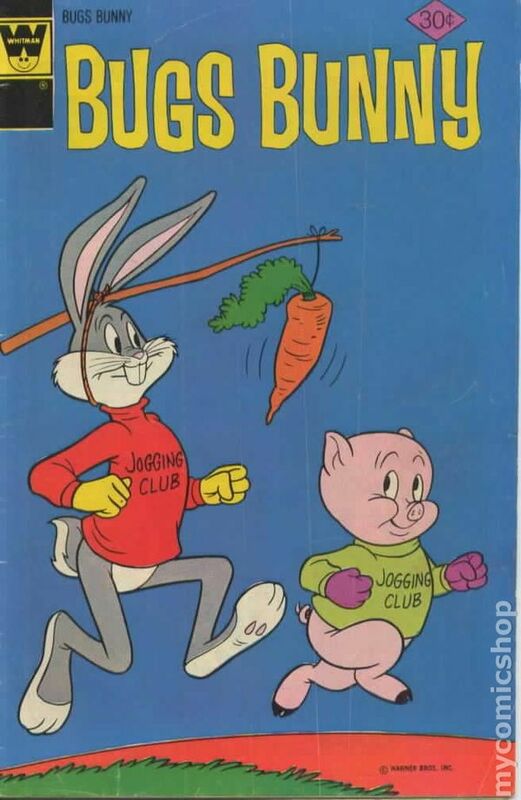 So I don’t want to spend too much time on the merchandise of Bugs Bunny because we would have to spend the whole update about all the different items, but if you had some sort of Bugs Bunny merchandise, you know how important it was to you in your youth. 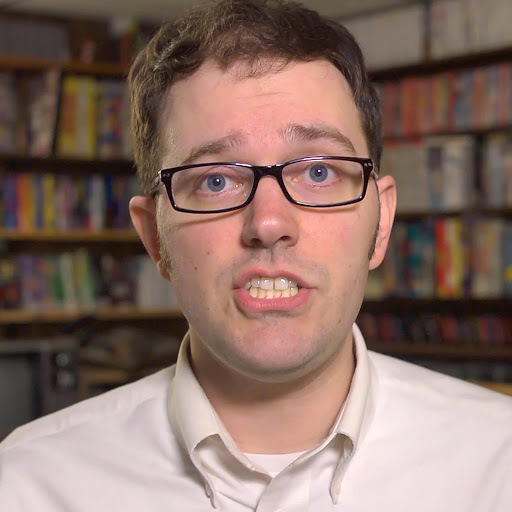 As you readers know, I am a fan of the internet video game reviewer The Angry Video Game Nerd, and I should talk about his feud with Bugs Bunny that has raged on for two episodes! 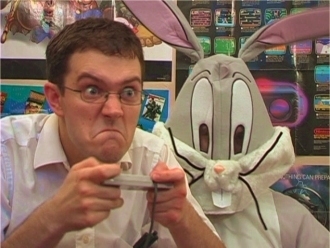 In Bugs’ first AVGN appearance The Nerd was playing Bugs Bunny’s Birthday Blow Out for NES, and Bugs himself shows up to annoy him while he is playing. All through the episode The Nerd beats up Bugs, and in the end he ends up beating the Bunny up super badly and poops on his face in a cheesy and fun sight gag. 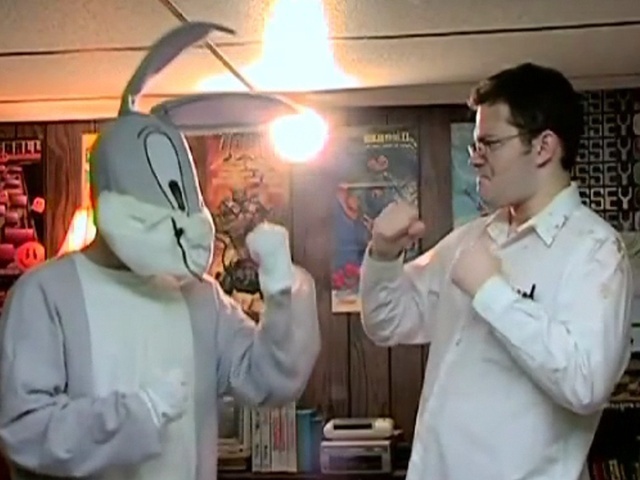 In the second episode, Bugs shows up again and forces The Nerd to play the Bugs Bunny Crazy Castle series all the while this time beating up The Nerd! The Nerd finally gets an upper hand and finds out the true secret of who Bugs is, but I won’t spoil it for you readers. Great work from The Nerd, and they remain funny and entertaining no matter how many times I’ve seen them. So now that you know a little more about Bugs I think we are ready to dive into a few issues from the Whitman reprints that I got from Jason Young and his mom. So I want to say a big thank you to them for making this update possible. Now this is by no means the whole set from them, but these are all the issues I have so I want to remind you that I grade these on a standard 1-4 star rating and base it on entertainment value, quality of the story, the art and how true it stays to the source martial. So if you’re ready, let’s go down the rabbit hole and spend some time with our old childhood friend Bugs Bunny. “The Long-Eared Genie” is the first story and has Bugs Bunny helping a young girl named Jennie who has been ripped off by a con man who has sold her a magic lamp that is for her father’s birthday. Bugs tricks him into thinking the lamp really works and tricks the con into paying back all those who he ripped off in order to get fake wishes! “Hare Tonic” has Elmer Fudd wanting to be a rock star with a full set of long real hair and offers Bugs a hundred dollars to help him out. Bugs goes to an old witch friend of his for a potion and runs around town to get the missing ingredients that includes dust from a Mummy’s tomb! In the end the potion works too well, and Fudd offers him another hundred to make him bald again. The third and final story is called “Two For The Treasure” has Bugs and Yosemite Sam going after a pirate named Singood who is stealing treasure in Sam’s territory. While on the hunt, Bugs crashes the ship into Singood’s ship, sinking them both! As Sam and Singood sword fight, Bugs takes the treasure chest and buries it. In the end Bugs makes them carve him a canoe from a log, and he sets out to sea and tells them where the treasure is that turns out to be costume jewelry. This is a nice way to start off this review of Whitman Bugs Bunny comics as the stories in this comic feel straight out of a Looney Tunes cartoon. The best of the three stories has to be Hare Tonic as watching Bugs play a Mummy in a b-horror film as well as deal with a witch who lives in a swamp is a cool sight to see and read about. The weakest has to be Two For The Treasure. While not a bad story, it almost has a been there, done that feel to it. One odd thing I noticed is that both Elmer and Yosemite Sam seem to be friends of Bugs, not his enemies, which kind of takes away from the overall magic of their classic toon rivalries. I can’t seem to find a name of the artist for this comic, but I must say whoever it is captures the spirt of Bugs Bunny very well, and whomever is the writer also did a good solid job. The issue also had a great rotten ink smell, and sadly a loose middle page but that defect didn’t stop me from enjoying the issue. 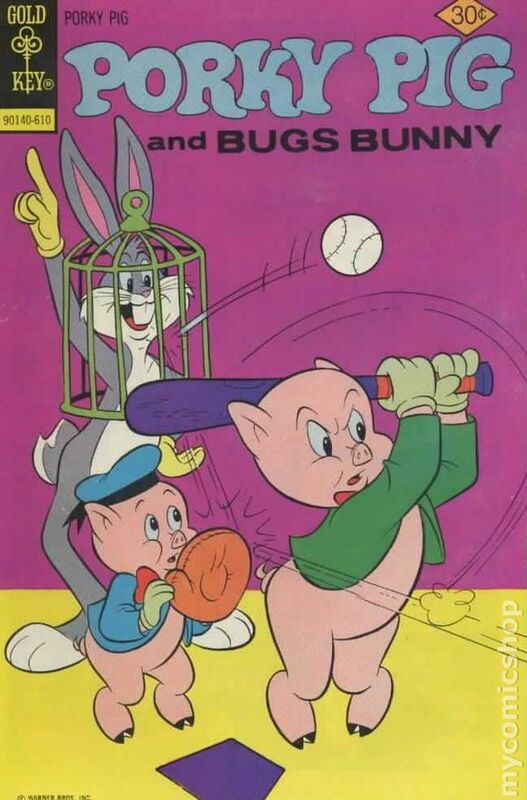 I’m puzzled why the cover has Tweety Bird, Porky Pig and Sylvester with Bugs watching a Baseball game when the issue has no baseball and none of those other characters! But let’s see what’s up next for Mr. Bunny and see what zany thing he does next. 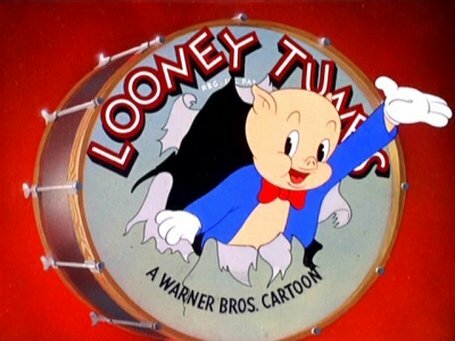 “The Secret Of Horsefeather Canyon” has Professor Pigfeat of Hamm University sending Porky Pig and Bugs Bunny to canoe down a river that has terrible waves to see if the legends of Horsefeather Canyon being the home of flying horses is true. They crash, sink the canoe and meet Buffalo Bruce who is a cowboy and herds flying cows with his flying horses! Bruce tells them that they are stuck in his valley and that they can never leave because he don’t want his animals in a zoo and wants no scientist in his land. 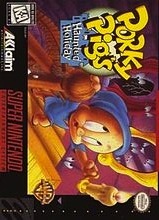 Porky and Bugs steal a flying horse to escape and are caught but make it to safety in time. They make a promise to Bruce not to tell the outside world about his ranch, but they do con him into doing a flying rodeo once a year at Hamm University. The second story called “Fudd Foolery” has Elmer Fudd going to an art museum and Bugs follows along. Fudd takes the radio tour in which he is walked through the museum and told the history of items by a DJ, and of course Bugs get bored and takes over the tour by lying to the DJ. While Bugs has fun toying with Fudd, a thief steals a painting and exits the museum right as Fudd figures out Bugs is being a prankster! Fudd chases Bugs out of the museum. The crazy rabbit breaks a vase, and Fudd on accident stops the art criminal. In the end Fudd is offered a job as the night security guard, and Bugs has to work as the janitor at night to pay off the vase he broke. The third and final story of this issue is called “Small In The Saddle” and has Bugs and Yosemite Sam being the law in a small western town that is being robbed by a pip squeak crook who always seems to get away with the help of smoke pellets, but when Bugs wises up to the crooks tricks and finds him horsing around by hiding in a plastic horse the town is saved from the tiny terror. This issue is packed with three solid and good stories. Each was as entertaining as the last, and that’s a great and rare thing from a kids comic from the 70’s. 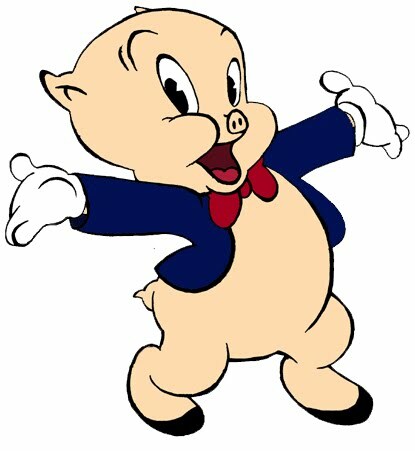 Bugs is quick witted and is looking for a way to have fun with his friends as well as make a quick buck. The 1st story is pretty fun and has flying horses, and Bugs and Porky dressed in flannel and looking like extras from the Bigfoot horror film Night of The Demon. Not to mention Buffalo Bruce reminded me of the mascot for generic potato chips company Rodeo Bill, who was a cowboy who rode a giant potato! The second story that has Bugs at the art museum reminded me of the movie Bean about the classic BBC character Mr. Bean, and it was fun to see Bugs taking in a little culture…well ruining a little culture for Elmer. The last story is pure cheesy cowboy stuff and should have been a team up between Bugs and Roy Rogers…now that would have been cool. I could not pick a favorite of the three as I feel all of them were as good as the other. However I must say that the artist did not get credit for his fantastic work again. So far I am two issues in, and I am enjoying these comics and think this far they are great examples of kids comics done right. So let’s not waste no more time and get onto the next issue. “The Search For The Sun Gems” has Bugs Bunny traveling via a blimp with Elmer Fudd and Lord Bertie Brumly to try and trick some island natives so they can steal Sun Gems that were created in a falling meteor. But when Bugs doesn’t want anything to do with the heist, Fudd knocks him from the plane and his good luck has him landing safely and becoming a God to the natives! But when the natives figure out Bugs isn’t a God and that his pals Fudd and Brumly are there to steal the Sun Gems, he must use all his good luck to get them out alive. The second story is called “In Stew” and has Beaky Buzzard inviting his pal Bugs over for carrot stew, but when Beaky’s meat eating brother Basil shows up for dinner he must save Bugs from becoming part of the menu! In the end Basil is out smarted by his dimwitted brother, finds that he in fact loves carrot stew and they all eat bowls of it together. The third and final story is called “The Cannonball Caper” and has Bugs being stuck between a feud that is raging on between Yosemite Sam and Sagebrush Sarah over a debit that Sam owes her. They decide in order to pay it all back with interest that they will hold a garage sale. Bugs and Sam go to advertise the sale in town and an accident leaves Bugs riding a runaway cannon and causing mayhem along the way. In the end, Sam sells the cannon to the city gardener for $100 but is fined by the cops for the mayhem leaving him broke. Worse, Sarah sold all his stuff, and he returns to his empty ship with nothing. I want to first point out that the cover to this issue has zero to do with any of the three stories in this issue. 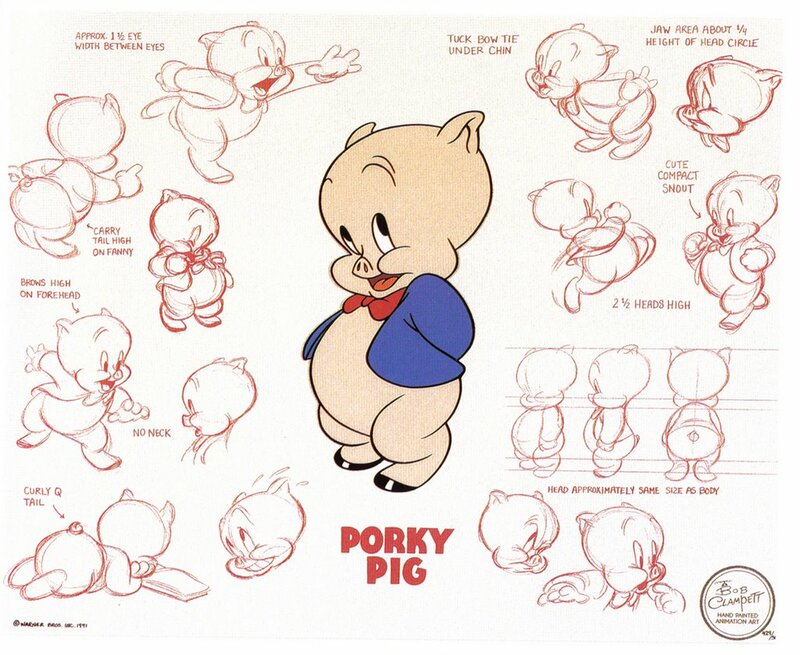 In fact Porky Pig does not even have as much as a cameo in it either! The best of the three stories is The Search For The Sun Gems. It had a real Bugs Bunny cartoon feel to it even though I find it odd that Elmer Fudd is more of an annoying friend to Bugs than an enemy who has wanted him dead for years. Much like in the cartoon when the odds are against Bugs, he finds away to come out squeaky clean and always ahead. The weakest of the stories has to be The Cannonball Caper as I felt it was clearly a throwaway short. One other odd thing is that Yosemite Sam also comes off as a friend and not an enemy. So between all the bad guys in this issue, I feel that Basil Buzzard was more of a threat to Bug’s well-being and I am pretty sure he would have eaten him if he would have caught him. Over all this issue is pretty standard kid comic stuff and was a solid and fun read that had the classic rotten ink smell of the decomposing ink. I could not find who did the art in this issue, but I do think that it captures the look and vibe of Bugs Bunny! So yeah, those was some zany Bugs adventures. Let’s see what the next issue I have has in store for us! “Hocus Pocus Hare” has Bugs trying to learn magic during rabbit hunting season, and when Elmer Fudd comes a hunting Bugs tries to wow him with a handcuff trick that leaves them stuck together as a pack of braindead hunters tries to shoot them! Along the way Bugs uses his magic and all attempts fail. So what does he do but call on the calvary for help! 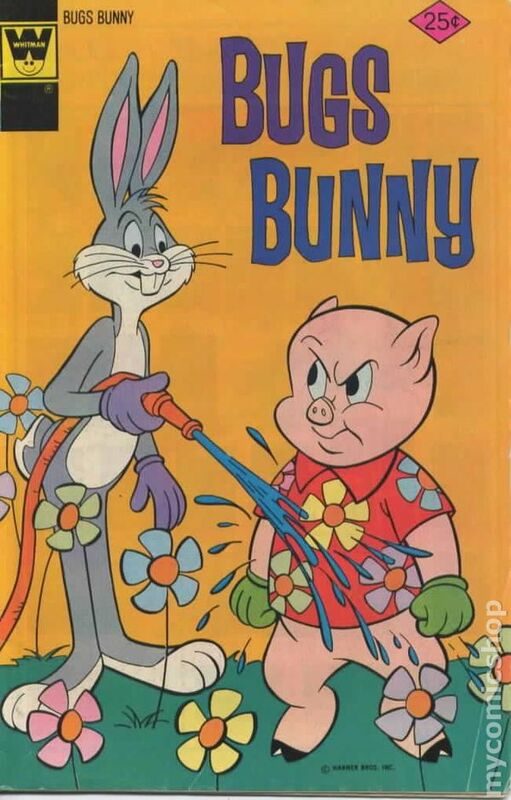 In the end Elmer and Bugs get free of the cuffs and patch things up for a few moments until Bugs uses his squirting flower to annoy Fudd who starts his hunt all over again. 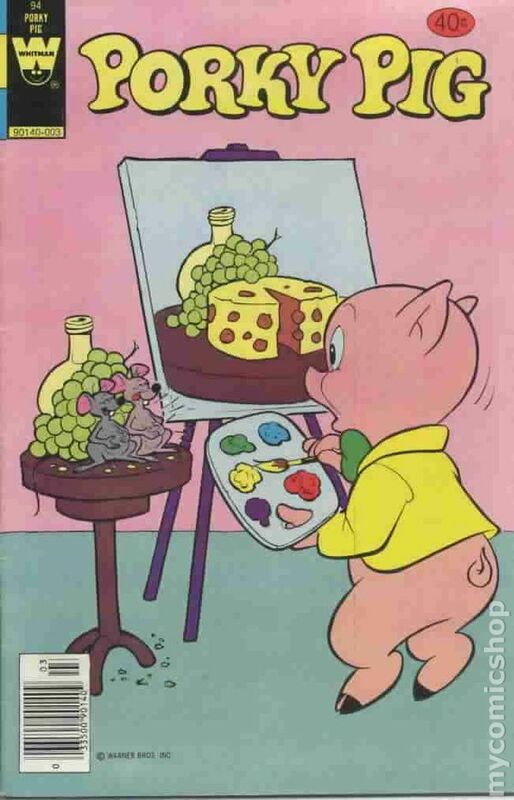 The second story is called “Funny Money” and has Bugs running a hotdog stand for Petunia Pig while she runs some errands and is conned out of the day’s money by the sleazy crook Silky Fleece who replaces what he calls dirty money with counterfeit new bills that have invisible ink on them! Once Bugs figures out he’s been had, he goes to get Petunia’s money back and does so with the help of the cops as they arrest the con man. Bugs not only gets her money back but also a reward that he uses to buy the hot dog stand and turn it into a carrot stand! The third and final story is called “Cool Head Fudd” where Bugs Bunny claims he is the master of making Elmer Fudd mad but Daffy Duck says he does it better. So as Daffy goes off to anger Fudd, that quick witted rabbit Bugs tells Fudd to remain calm and that will annoy Daffy instead, but Fudd’s new cool head annoys both Daffy and Bugs who leave his house not liking his new cool as ice attitude. In the end, Fudd waits till they leave and blows his top at how annoying they both are. 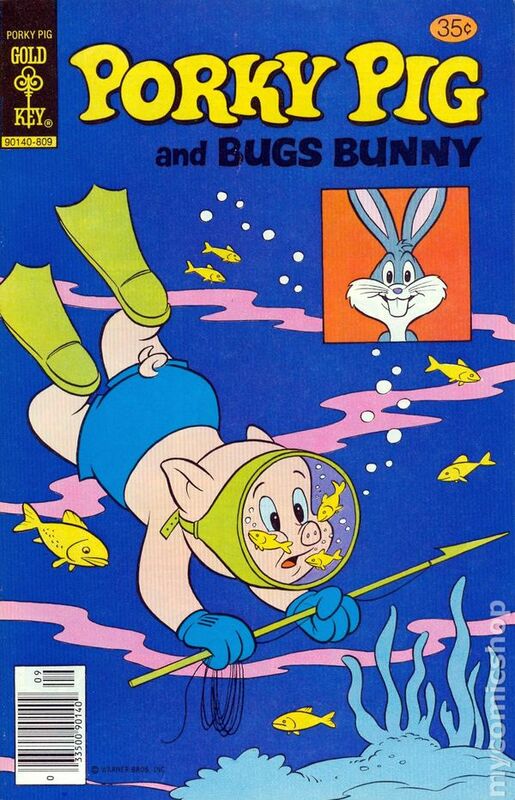 This is another fun issue that captures the fun and silly nature of a Bugs Bunny cartoon. So in this issue Bugs learns magic, helps capture a con man, uses Elmer Fudd as a pawn more than once and even almost gets shot and killed a couple of times…so yeah just normal Bugs Bunny activities. The best story in this issue is Funny Money as I love the whole con man tricks a rabbit running a hot dog stand into given him all the money from the register only to have it all blow up in his face. 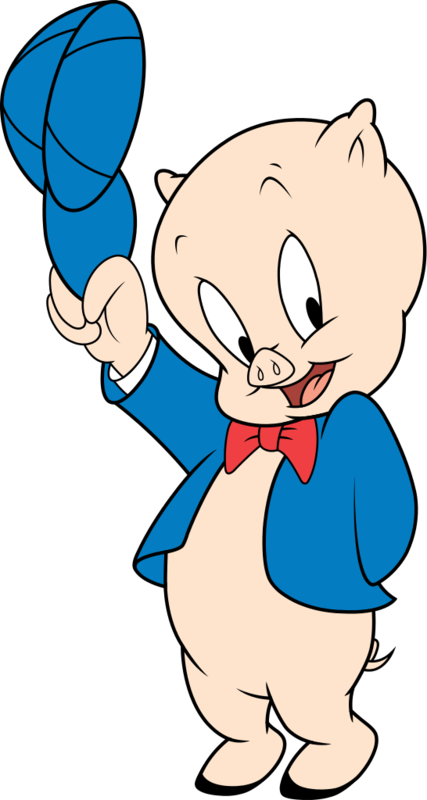 Plus I can’t help but get the vibe that Bugs and Petunia Pig might have a little something going on with each other on the side…poor Porky Pig doesn’t even see it happening before his eyes! I think the weakest story in the issue is Cool Head Fudd. While it’s cool to see Daffy do what he does best and that’s be crazy, the whole story seems very pointless and really goes nowhere in the end. 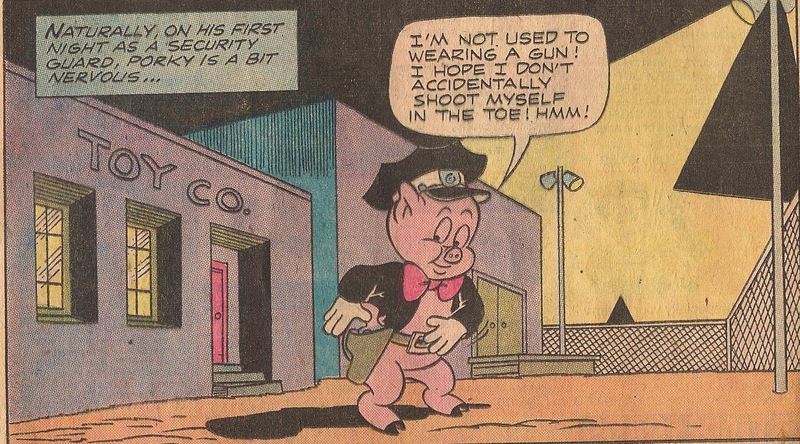 I also have to say I kind of feel for Bugs as at all times it seems like some hunter or even friends like Elmer want him dead, and he is consistently having guns pointed and fired at him. 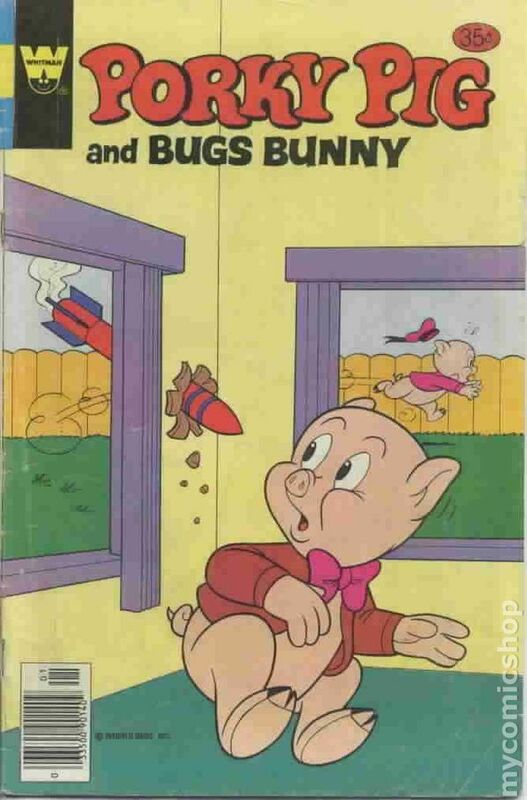 The cover once more is not connected to the issue unless I guess you could say it’s Bugs annoying Fudd like in Cool Head Fudd, but I think I am grasping at straws there. The artwork is really good again and once more I can’t find a name to the artist! Let’s see if Bugs will almost be shot again as we move onto the next issue I have! 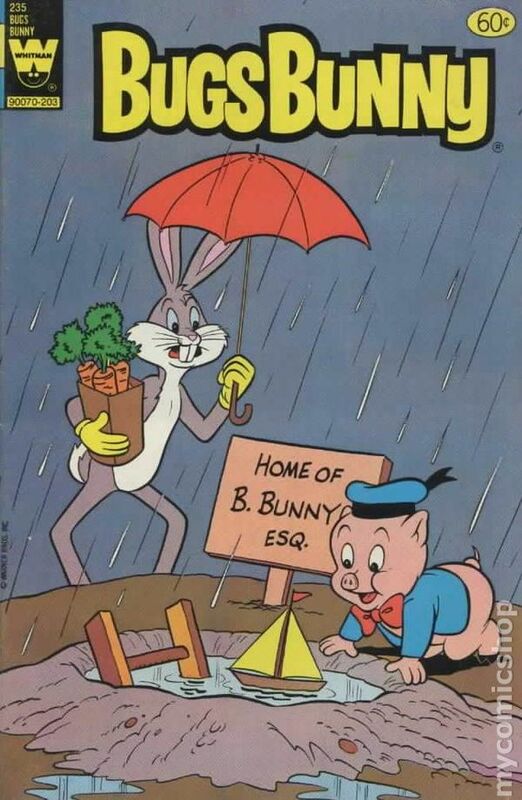 Our first Bugs Bunny adventure in this issue is called “ The Fountain Of Youth” and has Bugs and Porky Pig travel to the everglades to find the famed fountain of youth and are sent by Professor Pigfeat of Hamm University. While in the swamps, Bugs and Porky get into all types of trouble even sinking in quicksand until an Indian who’s 170 years old acts as their protector. When they find the fountain, Bugs accidentally drinks the water that they were bringing back as proof and turns young again! In the end Pigfeat doesn’t think the world’s ready for the power to become young again, and they leave the young Bugs at a daycare until he grows bigger in the following week! The second story is called “Tall Tale Talk.” Bugs is hanging out with Yosemite Sam on his ship hearing over the top stories when they get a distress call from Sam’s best friend Nick Neptune who has been attacked by Captain Sigh who wants the location of a treasure! Bugs and Sam sail in for the rescue that is short lived when Sam himself is captured and it’s up to Bugs to save Nick and Sam! When Bugs out smarts the pirates and rescues Nick and Sam, they hit the sea again as Bugs is treated to more over the top stories. 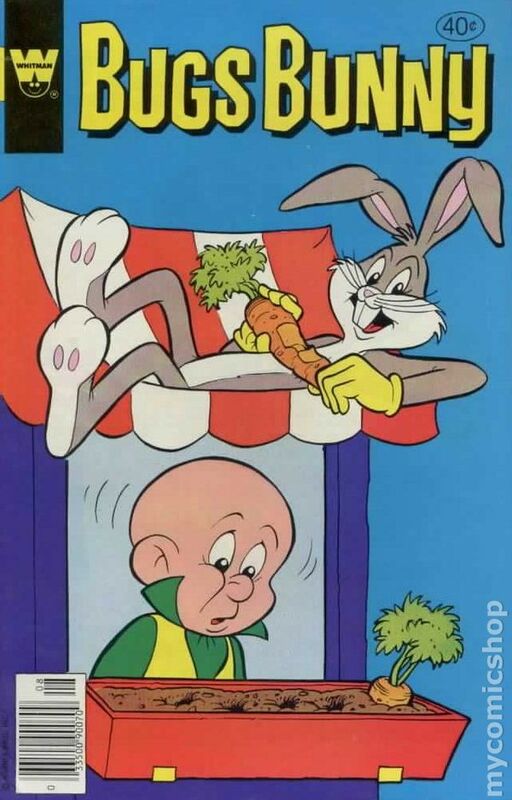 The third and final story in this issue called “The Bugged Carrot Patch” has Elmer Fudd using boobie traps and a radar to stop Bugs from stealing his carrots until Bugs figures out that he can wrap himself in tin foil to defeat the radar and eat all the carrots he wants after he scares Fudd into thinking he is a alien from space! 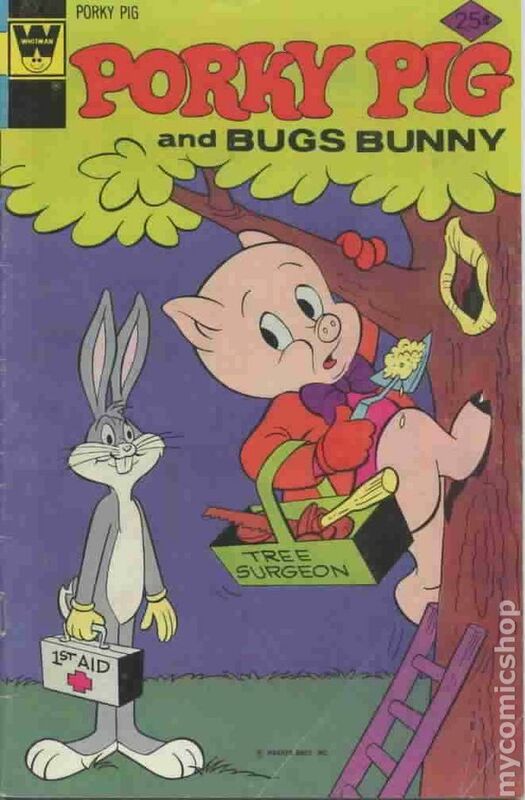 Bugs Bunny and Whitman Comics have delivered another fun light hearted kids comic issue that I am sure entertained the kids of 1979 with Bugs being silly. I really loved the vibe and story of he and Porky trying to find the fountain of youth, and the whole adventure truly reminded me of something that you could see on a Looney Tunes episode! In fact all three stories in this issue are really well done and made for a good read. Once more I am a little puzzled to why Yosemite Sam and Bugs are friends in this comic, and this issue even has them hanging out of Sam’s ship as he is telling over the top stories! Shouldn’t Sam be trying to shoot or stab Bugs cause in the cartoons he hates him! Oh well I guess murder in a kids comic is probably not a good thing, let alone in 1979. This issue also adds a character named Nick Neptune who for the most part is useless and only adds to the rescue aspect of the Yosemite Sam adventure. Over all good stuff and once more can’t find the artist! 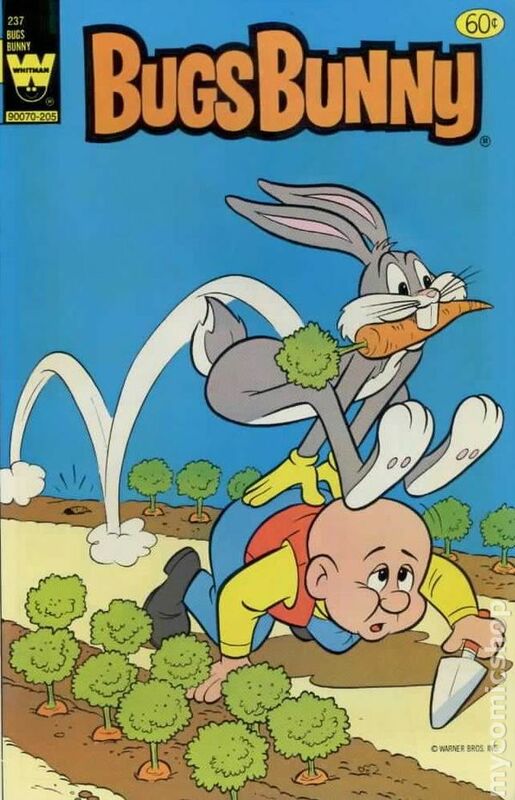 Oh and for once the cover kind of ties in with a story of Bugs stealing carrots from Fudd’s garden. So far we are four issues in to the eight I own and I am having fun, so let’s move onto the next shall we? “Magic Eye Of Ahni-Kon” has Bugs Bunny helping Sinbad with his magic flying carpet when it starts to rip after his time travel. For his help Sinbad takes Bugs on a ride, and they end up a thousand years in the past and are being stalked by bad guys who want a magical glass eye Sinbad has and worse a dragon! In the end Bugs uses the eye as well as its other half to stop the bad guys and gets a one way ticket back to his time on a special magic carpet. The second story is called “Flooded Out” and has poor Bugs Bunny’s hole in the ground being filled with water from a nearby creek thanks to work by the city! Bugs gets an idea to talk to the governor to try and get him to stop the water work, but getting time to talk to him is tricky as the guards will not let him in. When Bugs finally gets a chance to talk to the governor, he finds out that there’s nothing he can do to stop the creek from being moved. In the end Bugs figures out that he will surround his house with stone and make his own little island. The final story is called “ Caped Capers” and has Bugs stealing carrots from Elmer Fudd’s garden and only leaving him one. Fudd has an idea to scare Bugs and becomes a masked hero called The Carrot Avenger who scares Bugs. But all good things come to an end when Bugs finds that Fudd is the Avenger. 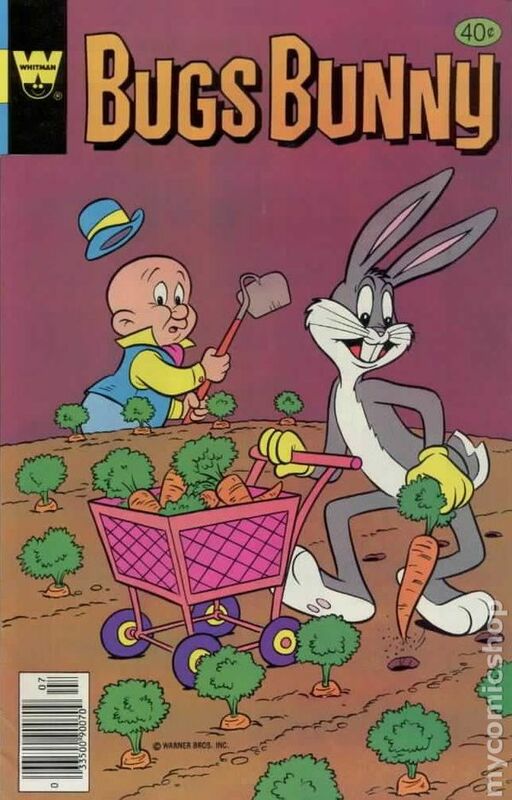 Man, Bugs Bunny is a thief in these comics and almost takes pride in stealing carrots from Elmer Fudd! At one point he even says he doesn’t want to buy them implying he would rather steal…wow Bugs, just wow! I am sure it started with carrots, then he moved up to candy from 7-11’s and then he moved up to DVD’s selling them to get carrots….it’s a sad day when you have to come to terms that one of your favorite cartoon characters as a kid is a home invasion carrot robber. Plus Elmer in this comic series is one of his friends and really think about it, he steals from his friend. The best story in the issue is Flooded Out as I feel it captured the spirit of the cartoon and my least favorite is the opening story Magic Eye Of Ahni-Kon as I felt it just kind of was bland and pointless. 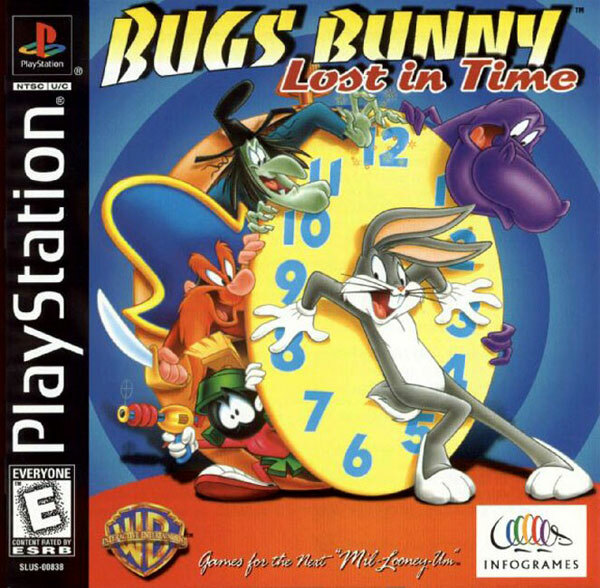 The cover is pretty good and ties in to the fact Bugs is a thief. 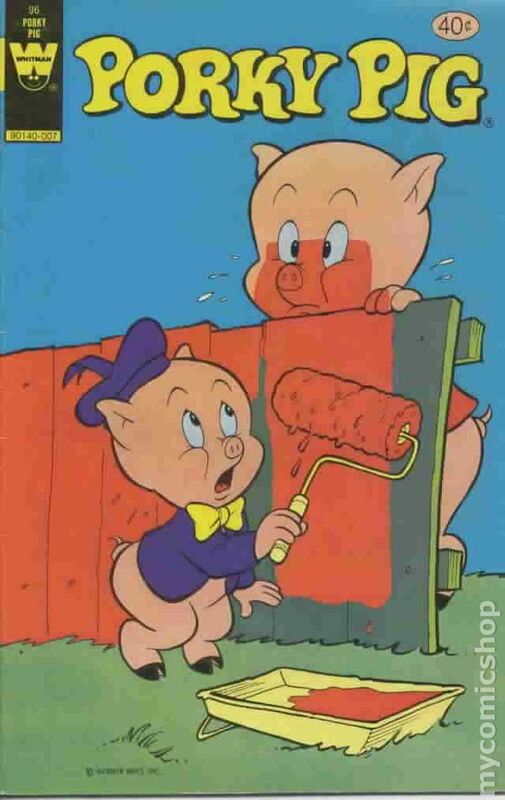 The comic has cameos by Petunia Pig and Porky Pig, helping addto the Loony Tunes feel. 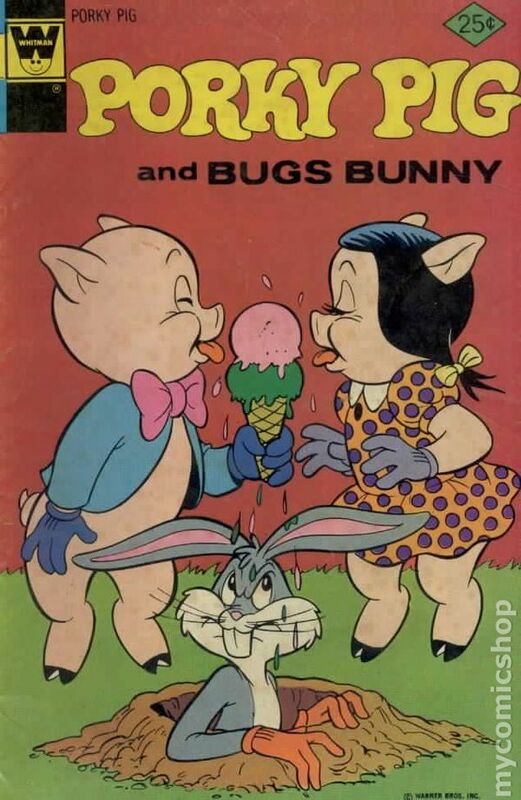 Once more Whitman does a great job of reprinting this Bugs Comic, and I for one once again enjoyed reading it. No artist credit again so let’s get to the next issue and see what Bugs steals next. I am going to guess Petunia Pig’s heart or all her jewelry. In the opening story called “Hero Hare” Bugs Bunny wins a stay at a fancy resort and finds that his neighbors in the room next to his are there to rob the place! The manager doesn’t believe Bugs and kicks him out into the woods nearby. But Bugs being noble helps save the day when he captures the crooks with stolen money in hands. The second story is called “ Mutiny Of The Bunny.” Bugs is robbed and kidnapped by two pirates who plan on leaving him in the cold dead water. While trapped, Bugs meets a rat named Ripley who tries to help him escape with the help of cold hard cash! Together they learn that the ship is filled with stolen cargo and Bugs outwits the baddies along with Ripley and try to hitch a ride to port! The third story is called “Clowning Around” and has Bugs trying to help two lost clowns who have their car destroyed in an accident, and it’s up to Bugs to get them back on track. The fourth, yeah a fourth story, is called “Between Two Pirates” and has Bugs and his pirate uncle Barnacle Bunny going to visit Yosemite Sam. Bugs finds out that his Uncle and Sam dislike each other over an old treasure map they each have a part of. So together they go look for the treasure with Sam and Barnacle at each others’ throats the whole time. In the end Bugs loses the treasure in the sea and becomes the target of Sam and Barnacle, making the two old pirates friends. This one added a fourth story, and while the issue is good, the addition of the fourth story seemed to make the others too short and not fleshed out in any way. The better of the stories has to go to Mutiny of the Bunny, a fun sea adventure with Bugs making fools of this pirate kidnappers. The worst story had to be the very pointless Clowning Around that was clearly just a filler story. The only old familiar face in this issue besides of course Bugs was Yosemite Sam who once more acts as a friend and not a foe. New additions were Ripley the Rat and Barnacle Bunny who both added some level of fun to their respected stories. Once more the art is fantastic and it’s clear that several artist worked on this issue as the styles are slightly different. The cover once more has zero to do with any of the stores and makes me wonder what kind of carrots the designers were eating when they picked it! Over all this is the weakest thus far of the Whitman Bugs comics I own, but I still enjoyed reading it. So we only have two more issues to go and as I stated I am having a good time reading these comics and am looking forward to this next one as well! In “Royal Pen Pals” Elmer Fudd and a King have become psychic pen pals, and Bugs Bunny intercepts a mental message that the King is in trouble! So he and Fudd fly to his Kingdom and find Red Duke, a one time friend of the King is trying to place an impostor in his place so he can rule the Kingdom! Bugs and Fudd team up and foil this plot and rescue the King. The second story is called “Bunny Talk” and has Bugs and Yosemite Sam jogging in the mountains together, but when Sam breaks off and falls into an eagle’s nest, Bugs must find away to save him from the angry mother bird and must also learn to talk eagle to save his own hide! 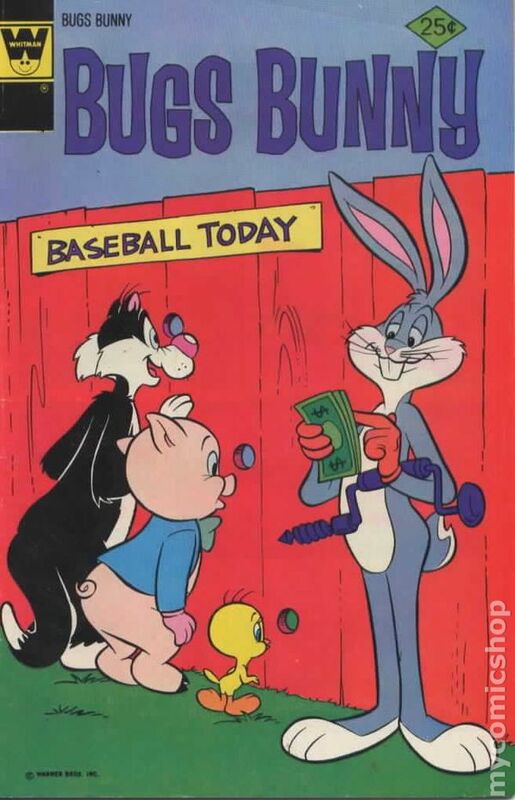 The third story is called “Wheeling and Dealing” has a motorcycle path being put in next to Bugs’ whole and when his Congressman refuses to move the path, he takes matters into his own furry hands and detours the bikers to Fudd’s house! In the end Fudd and Bugs turn up the heat on the Congressman by telling him he will lose a vote and he reworks the route again…that goes by Bugs hole again! 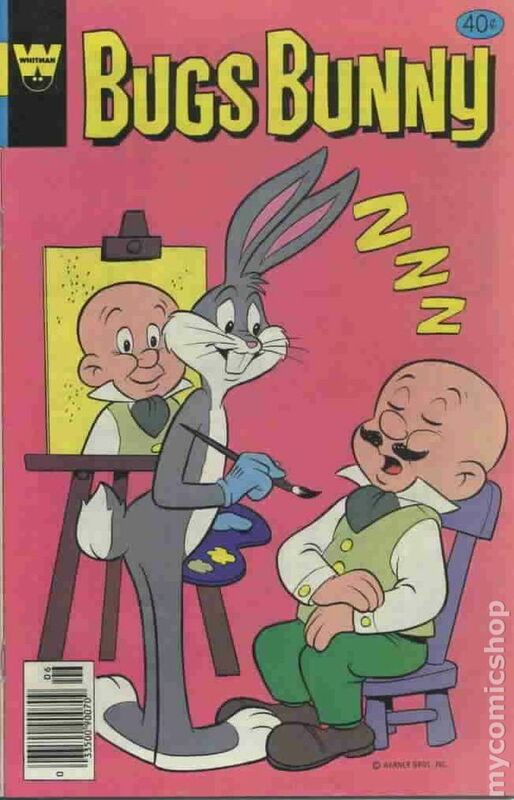 The fourth and final story is simple called “Bugs Bunny” and has Elmer Fudd and Bugs trying to hypnotize each other and of course only Bugs can do it. But it all comes in handy when they run to an old abandoned house to get out of the rain and meet two brothers who are robbers! Bugs uses his mind tricks and has Fudd save the day when he thinks he’s a pro-wrestler! This is another four story issue and once more is pretty good and has some fun wacky Bugs adventures. Once more this issue shows that Elmer Fudd is restless about Bugs always stealing his carrots and wants to use mind control to get him to stop! The best story is Royal Pen Pals and is cool to see Elmer and Bugs really working together and saving the day for a King who was in major trouble. The weakest story is Wheeling and Dealing. It’s funny to think that a congressman in Looney Tune world cares about one vote when in real life they will just buy the election. The cover once more is misleading and has nothing to do with any of the stories, and the art is again unknown but really well done. 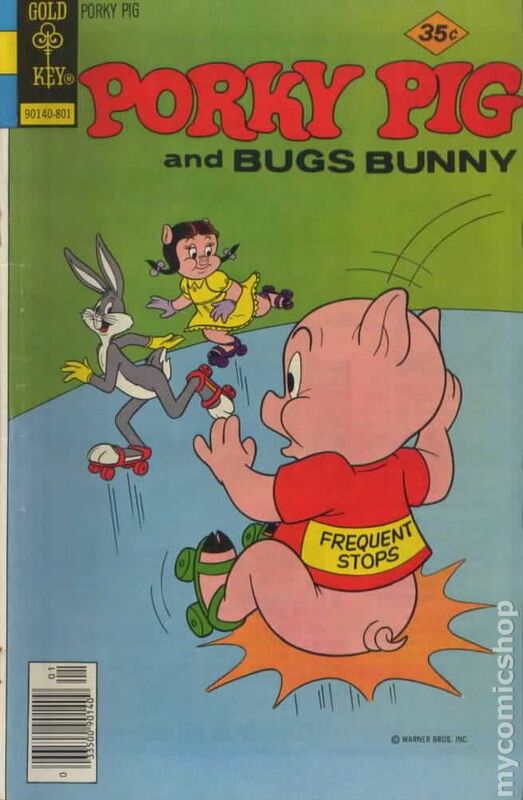 One thing I can say is that the comics thus far have done a fantastic job of capturing the playful mood and attitude of Bugs Bunny, and I can only imagine how much kids of this time loved to read and collect these issues. There’s not much more to say about this issue. So we are now on the final issue and I must say that all these issues thus far have that great Rotten Ink smell and that has helped make this update even better as it captures the true meaning of the name of the blog. So with that let’s see what final adventures Bugs gets into! “Lost Valley” has Bugs Bunny and his Uncle Buckskin find a hole in a cave that leads to a valley that time has forgot. The people are being bullied by Grugg and his men who want them all to never leave and must mine for gold to make them rich. Bugs and Buckskin unite the villagers and all together they teach Grugg a lesson in respect. “Shipping Out” has Bugs Bunny stopping two bikers who have stolen Yosemite Sam’s ship and plan to rob yachts! Bugs uses his brain and gets the coast guard to the rescue Sam’s ship that he has got stuck in sand, leaving the bikers in their hands. “Well Suited” has Bugs working for a company called Rent-A-Thing where he has to wear a dog costume and pretended he is a dog for Elmer Fudd, but when Fudd finds out he’s been had, he gets mad and Bugs’ boss shows up to save him or is it kill him when the rabbit can’t pay for the rent! 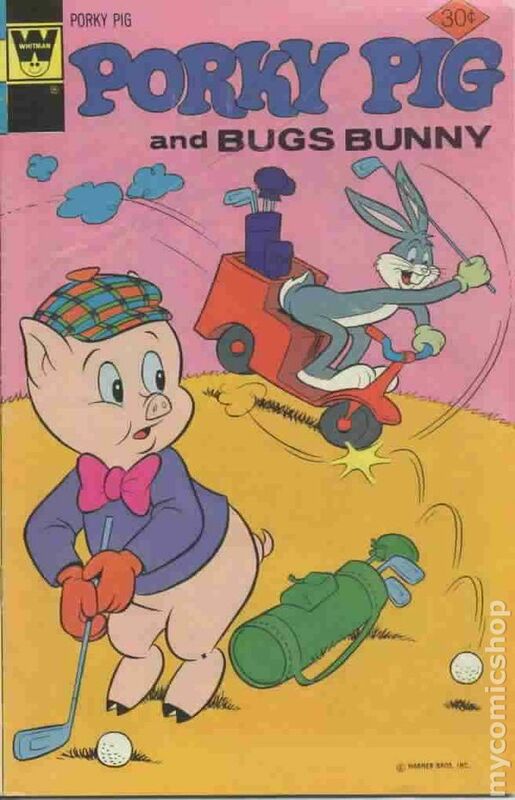 The final story is called “Getting Grey Hares” and has Bugs and Porky Pig taking jobs as truck drivers for explosives to get money for Porky to go to Hawaii to visit Petunia Pig who’s birthday is coming up. In the end they make the delivery after some close calls of being blown up only for Porky to fly away, and Petunia to fly in! This was another solid issue that was a nice way to finish up my look at Bugs Bunny in comics! Bugs in this series is super loyal to his friends and even those he steals from he still feels the need to help them whenever he can. The best story from this issue had to be Lost Valley as it was nice to see Bugs unite a town and get the last laugh on a greedy no good bully! The weakest link story and once more the on that felt like filler was Well Suited as the whole gag is just for Bugs to eat Fudd’s carrots while in a dog suit and to be chased by his new boss for not paying him to dress as a bear…yeah, just kind of weak. It was cool to see familiar faces in this issue as well because not only do we see Elmer Fudd but we also get Petunia Pig, Pork Pig and Yosemite Sam making this final issue I have a nice closing. In fact looking back at these comics felt almost like a reunion with old friends that you miss. The cover is great but once more is not connected to any of the stories, and as always no artist is credited but the art work is great and captures the nature of Bugs Bunny. These Whitman reprints are really fun and are good classic kid comic stuff, these are the type of comics that I could see parents still buying to this day for this young kids who are wanting to get into comics! It’s also fun to think that the comics I read were the comics my friend Jason and his older brother Joe read many years ago and that they got into comics by reading these type of issues along with the Disney ones. I guess now that I have praised these issues I should also point out a few things I felt could have been done better. The first real puzzler is that they took Bug’s enemies and turned them into friends taking away any real danger and drama. These classic bad guys and Bugs going at each other is what made the cartoons so special and taking that element away made for cheaper bad guys who fell short in the danger department. The second thing that I found odd is that many of the stories followed the same formula of Bugs getting into hot water mostly with thieves and always out smarting them in no time. It’s like the story writers passed around the same outline to everyone in the office and they each made slight changes to come up with their version of the story. 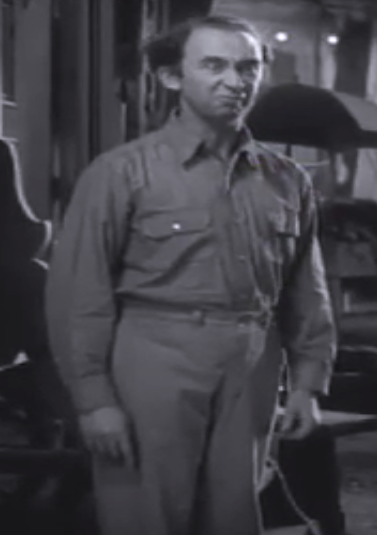 And the final thing that was puzzling and also kind of funny is something I already touched on, and that’s Bugs stealing from his friend Elmer Fudd, I mean if I were Fudd, I would not invite him around anymore! But all those flaws are pretty minor in my book and don’t change the fact that these are fun comics that were well worth the read. 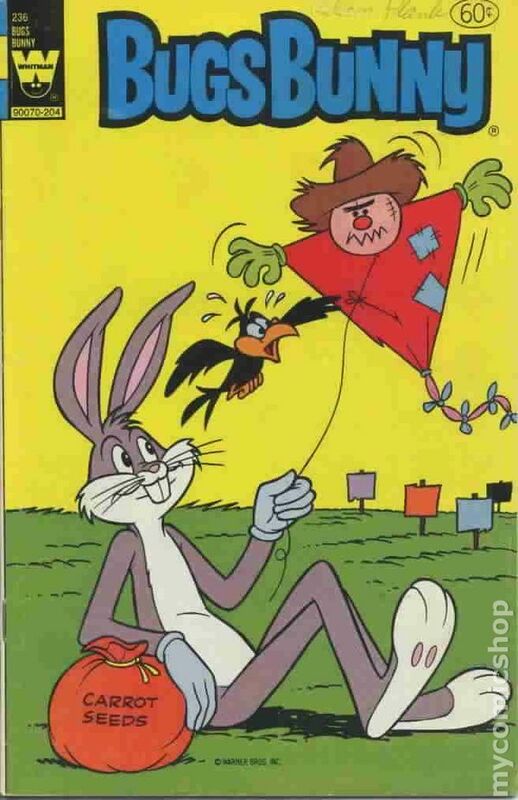 Below is some artwork from this series, and I picked an image of Bugs and Porky on a flying horse because this sums up the silly and fun nature of these comics. So there we have it, a look at Bugs Bunny and the Whitman comics based on him and his friends. This won’t be the last update that will cover Loony Tune characters as the box of comics I got from the Young’s had many more so that’s something we can all look forward to! But our next update is leaving the warm safe world of Bug Bunny and finally getting to take a look at a comic series that was supposed to been looked at in mid 2014, The Ghosts Of Dracula!! Be ready to walk the night with Dracula, and until then, read a comic or two, support your local Horror Host and watch a cartoon from your past and as always stay nerdy!